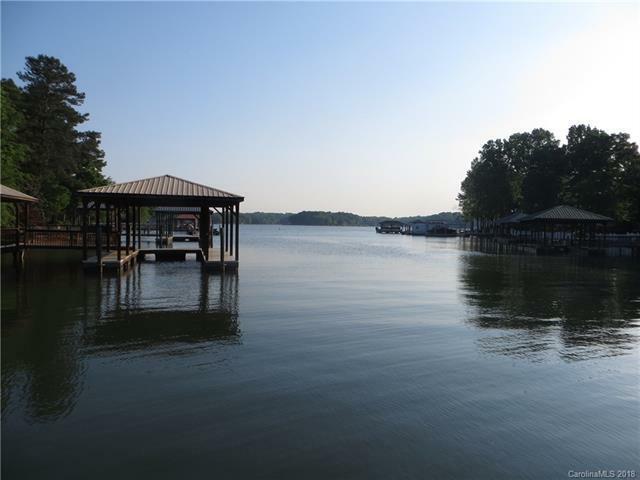 Unique opportunity to live on Lake Norman. 1.12 acres, waterfront lot in well established Lake Point North. Newly built in 2017 1 bedroom apartment w/full bath,kitchen,bedroom, living room and large elevated deck over looking Lake Norman. Apartment sits over a large two car ,detached garage with a second full bathroom. Covered dock comes with boat lift . Homeowner is obtaining certificate of occupancy and finalizing electrical hookup for apartment. Apartment ready for your finishing touches.New Septic in place. Installed as a 2 bedroom septic but can be upgraded to 4 bedroom per owner, New well in place, new mini- split AC system in place, new tank less water heater. New retaining walls in place.Lot is 80%(approx) cleared. Parking for RV or boat designed along side Garage. Come build your dream home along side everything that is already in place. HOA building rules do apply with this unique situation,buyer to verify. Please make appointments to view this property.